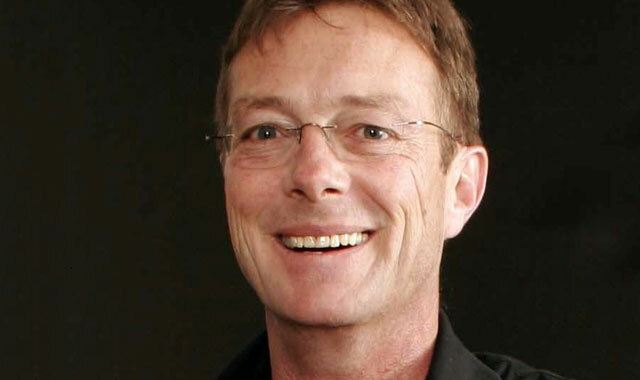 In the wake of Vodacom’s decision to close down its M-Pesa mobile money service in South Africa at the end of this month, a pioneer of mobile financial services for the mass market, Brian Richardson, CEO of Wizzit International, has said mobile operators should not and never will be successful in the financial services industry. Describing the success of M-Pesa in East Africa — led by Kenya — as the exception rather than the rule, Richardson said this week that mobile operators should rather stick to what they know: providing communication services to millions of people. Wizzit, which launched a mobile banking service in South Africa 12 years ago aimed at the mass market (it’s still operational), now provides m-banking solutions to banks in 13 countries. The mobile operators’ biggest problem, Richardson contends, is that consumers don’t really trust them with their money. Last month, Vodacom announced it would pull the plug on M-Pesa in South Africa after a relaunch of the service in 2014 — meant to address its shortcomings — flopped. Despite the enormous success of M-Pesa in markets such as Kenya (where it was pioneered by Vodacom sister company Safaricom) and in Tanzania, the platform never took off in the local market. But Richardson is not convinced. Also, regulators in Kenya took a light-touch approach to it — effectively “turning a blind eye”, according to Richardson — which helped it to flourish early on. Another factor that helped was that the Kenyan government paid pensions and social welfare grants through M-Pesa. Safaricom also enjoyed a virtual monopoly in Kenya’s mobile sector. “This put it in a position where it could dictate to distribution channels what they would and wouldn’t do – how it would be priced, the amount of float they’d have to have at all times, and so on,” said Richardson. Even then, consumers would not keep their money in M-Pesa for long. The average time money stayed in an M-Pesa account in those early days was little more than half an hour before it was cashed out at agent, although that has now changed, he said. The South African environment couldn’t have been more different – it was stacked against Vodacom being able to make a success of M-Pesa, he said. Regulators told the operators that they had to work with a bank. Vodacom walked away from an initial joint venture with Nedbank – talk is the parties never felt comfortable with one another – in favour of Bidvest Bank for the 2014 relaunch. Banking regulation in South Africa is tough and expensive. The mobile operators underestimated just how difficult and costly it is to comply with red tape, said Richardson. As a Kenyan, I’m insulted by the lack of facts and over simplification of issues in this piece. The banking sector was not closed for 4 days. Wow, you get insulted so easily hey ? Well, possibly rather spend your mental abilities understanding the content of Brians message, summed up here for the sake of brevity. At the CEO of the company that launched M-Pesa in Kenya and now responsible for Mobile Money for Vodafone in other markets, including South Africa, I feel obliged to contradict Brian and state that many of the comments he has made are inaccurate and misleading. In fact M-Pesa is successful in more than Kenya and Tanzania (including Mozambique and DRC) and is growing in others. It takes time to get traction. I agree it will not be successful everywhere but not for the reasons he enumerates. I have heard all these arguments before about banks versus mobile operators and it is not borne out in many other markets, including those of our competitors.